31 Things To Help You Stop Saying "This Is Why We Can't Have Nice Things"
"This is why we CAN have nice things" — Taylor Swift if she would've read this post before Reputation came out, probably. 1. Solemates, for when the biggest factor separating you from wearing those super cute new heels you just bought, is the impending threat of sinking into muddy grass. 2. A hypoallergenic waterproof mattress protector to preserve your mattress from things like your child's bodily fluids or your cup of coffee spilling. 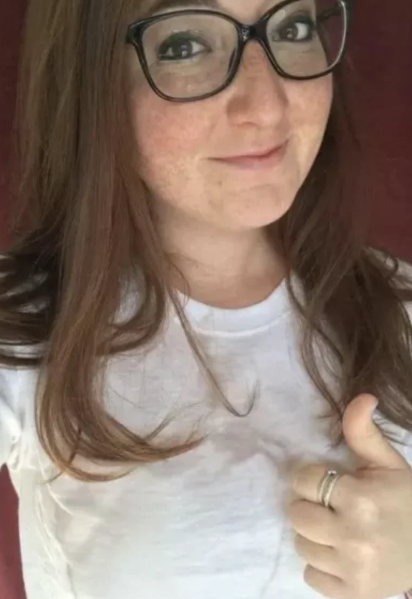 Promising review: "My wife went into labor a year and a half ago and that labor went very quickly....so quickly that she ended up giving birth on our bed in the presence of EMTs. We then went to the hospital where I stayed overnight with my wife and new baby girl. The next day, once things had clamed down, I went home to clean up before they came home. For those who have witnessed or gone through child birth, you know what a mess I arrived to. For those who haven't, suffice to say there are many different types of fluids and a lot of them. Let's just say I was fully expecting to be purchasing a new mattress. To my amazement, once I'd bagged our sheets and this mattress pad, our mattress was perfectly fine. I bought another one immediately and will continue to use this brand as long as it exists. I challenge anyone to put it through a more rigorous test and I'm positive it can stand up to some sweat or your child's pee in the middle of the night. I could have posted a pic but it's better for everyone if I don't." —Kevin C.
Get it from Amazon for $24.95+ (available in six sizes). 3. A door scratch shield that'll protect your walls from your sharp-clawed pet, who just wants to go for a walk, or better yet, is just super excited to hear you're about to come home. 4. A two-pack of silicone bibs with a roll-up pocket for catching the remnants of food your messy little one didn't manage to get into their mouths. These are dishwasher-safe, and can also be easily cleaned with just some water! Get them from Amazon for $9.98 (available in two colors). 5. A 12-pack of water bottle cleaning tablets to restore your reusable drinking vessel back to store condition. I mean, you don't wanna be drinking from something gross! The tablets are biodegradable, chlorine-free, all-natural, and environmentally safe. Just put one in with water and they'll clean your bottle without any additional brushing or scrubbing. They're good for use on stainless steel bottles, mugs, hydration reservoirs, coolers, dishes, and hard-to-clean plastic containers and bottles. Get them from Amazon for $8. 6. 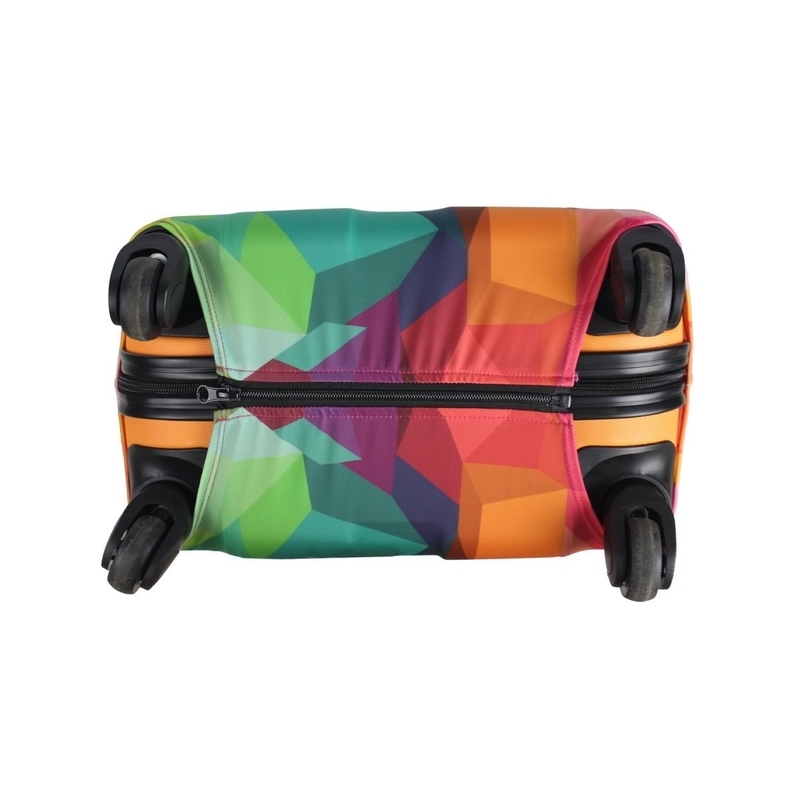 A spandex suitcase cover that'll protect your luggage so when you go to retrieve it from baggage claim, it's in the same tip-top shape it was in before you brought it to bag check. Get it from $12.99+ (available in 11 styles, and sizes S–XL). 7. A three-pack of oven liners for catching crumbs, sticky stuff, or any other food debris, so you can just take this out and stick it in the dishwasher rather than worry about cleaning the oven itself. These are PFOA-, and BPA-free, and works well in electric and gas ovens, microwaves, toasters, and can also be used as a grill or baking mat, or pan liner. They're non-stick, reusable, can withstand temperatures of up to 500 degrees F, and dishwasher-safe! 8. A TubShroom to collect hair in the shower/bath so your precious drains don't get clogged. Yeah, you're welcome. 9. A two-pack of car seat protectors so if your kiddo takes up a sudden past time of kicking the back of your seat out of boredom, you can breathe easier knowing it won't be damaged. Your purchase will come with an e-book on games and activities to keep your little one busy on car trips! Get them from Amazon for $18.97. 10. 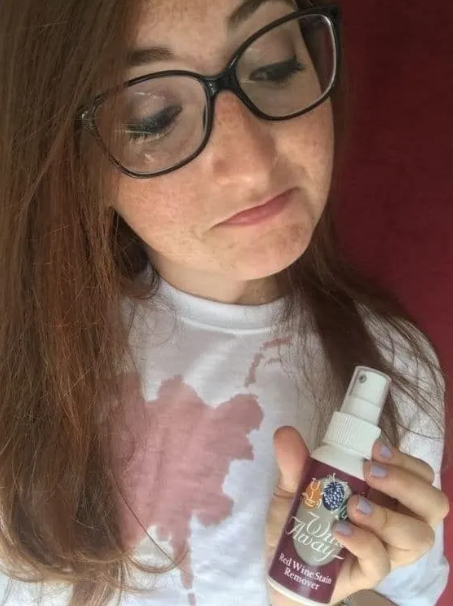 A wine stain removal spray for the clumsy red vino drinker who is as good at spilling on their clothes and furniture as they are at polishing off an entire bottle by themselves. Get it from Amazon for $5.92. 11. A pet seat cover for people who love bringing their very good fluffer along on car trips, but don't quite love seeing their beautiful car seats resemble the floor of a pet groomer. Get it from Amazon for $59.99+ (available in three colors, and two sizes). 12. A bitter nail polish that'll help your nail biting habit bite the dust. Can you say that three times fast? You can. Wanna know why? Because you won't have your nails in your mouth! 13. A bread storage container for keeping store-bought or fresh-baked loaves fresher longer. I mean, you didn't spend time literally getting this bread just for it to go bad shortly after. This helps to keep bread and baked goods fresher longer. The air vent is adjustable for a variety of conditions — closed for dry conditions and opened for humid conditions. The magnetic closure helps keep it snapped shut and secure. Plus, this is BPA-free and dishwasher-safe! Get it from Amazon for $19.28. 14. A two-pack of glass screen protectors to add an extra shield of safety to your iPhone. Seriously, I don't remember life before having glass screen protectors. When I drop my phone and "crack the screen," I know all I did was crack the screen protector, and the ACTUAL screen is A-OK! Compatible with iPhone 6, 6S, 7, and 8. 15. A rust stain remover gel that'll be no match on even the toughest of rust stains. The photo below? Actual magic. It comes in an easy-to-use trigger spray and is ideal for cleaning bathtubs, showers, toilets, colorfast fabrics, vertical surfaces, and hard-to-reach spots. Plus, it's non-abrasive, and made with non-hydrofluoric acid based formula, which is safer than other similar liquid rust stain removers. Get it from Amazon for $5.48 (originally $13.59). 16. A cat scratching post for your furry friend whose claws are longing for some scratching action, but like, your furniture, walls, and personal belongings are not game. 17. A four-pack of bed sheet clips to ensure your sheets actually stay in place, no matter how all over the place you are in your sleep. Promising review: "My husband turns a lot in his sleep and has always woken up with the fitted sheet halfway off his side of the bed. Bought these and we have NEVER once had to adjust the sheet in the morning! These are amazing! Get them from Amazon for $8.99+ (available in three styles). 18. 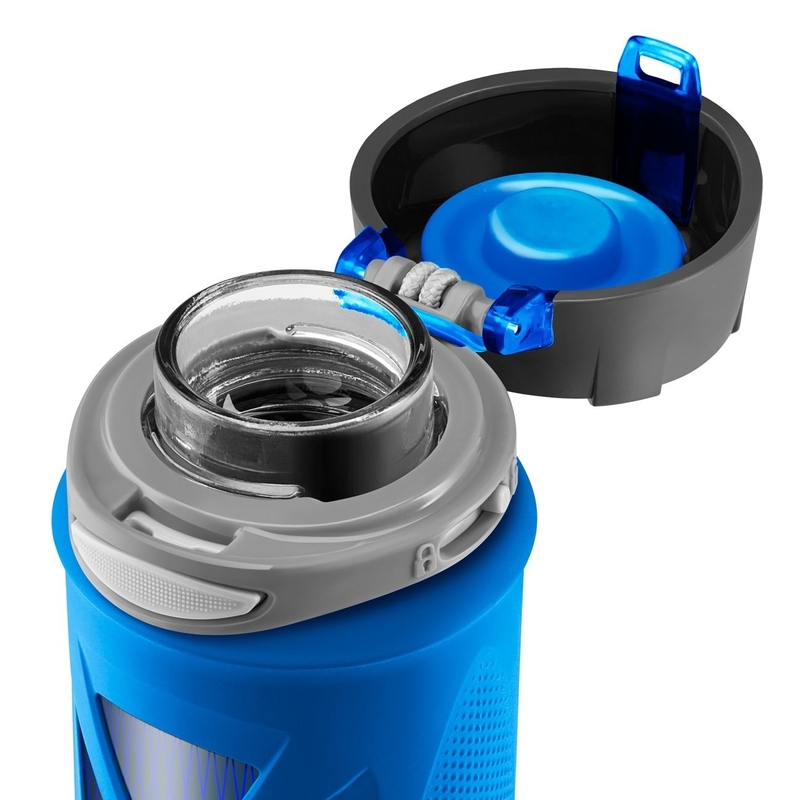 A glass water bottle with a silicone protection sleeve so you can enjoy the fresh taste that only glass bottles can provide while still having some protection from shattering in case you drop it. 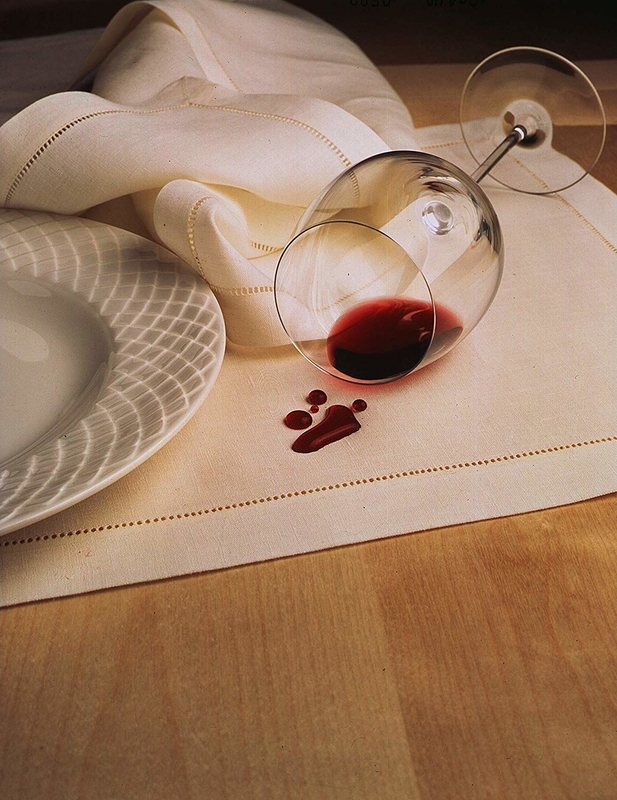 This is BPA-, PVC-, phthalates-, odor-, and stain-free. Plus, it's dishwasher-safe! Get it from Amazon for $11.29+ (available in seven colors). 19. High heel repair caps for a quick-fix against those heels you really like, but broke, and how could you ever find a pair to replace them? Get two pairs from Amazon for $9.99 (available in two colors and sizes XS/S–M/L). 20. A tile grout pen to trick people into thinking you hired a fancy schmancy cleaning service to make your floors shine like the top of the Chrysler building, but really it was just this handy dandy pen. Get it from Amazon for $7.80+ (available in three colors, and two sizes). 21. 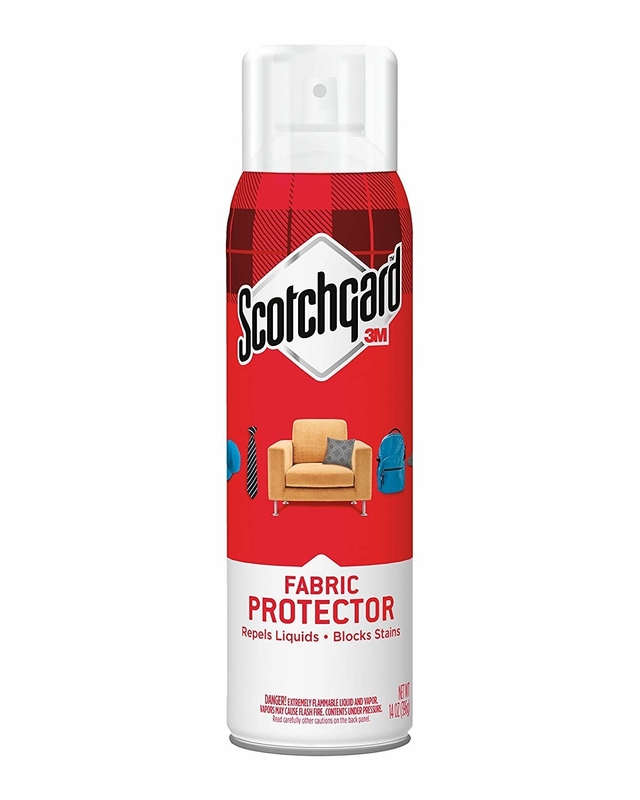 A fabric protection spray that'll actually repel spills so they don't stain your rugs, surfaces, and furniture. It may look like a spray can, but I think it's secretly a magic wand. Get it from Amazon for $9.98 (originally $14.49). 22. An avocado keeper for anyone who loves nature's butter but doesn't love how fast it turns brown. Get it from Amazon for $4.68. 23. A four-pack of coasters that'll not only prevent water rings on your surfaces, but will surely get a laugh out of those who use them. Get them from Amazon for $13.60+ (available in six styles). 24. A ToiletWand for proving once and for all, wands of all types, even ones for toilets, are truly powerful. For reference, see kinda disgusting image below. Comes with one ToiletWand, one storage caddy, and six disposable ToiletWand refills to kill 99.9% of bacteria and viruses. 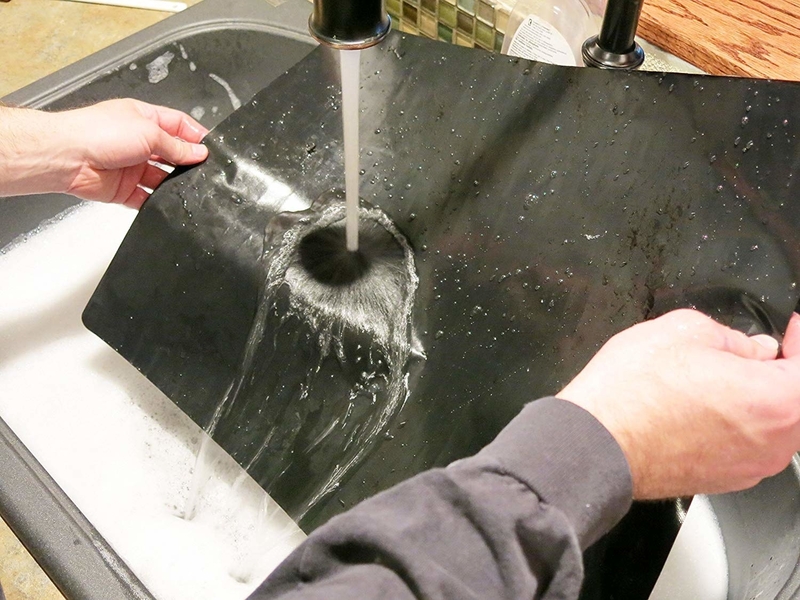 Just click the wipe onto the wand, swish, scrub, and clean the bowl, pop the wipe off, and dispose in the trash. Get it from Amazon for $9.19. 25. A two-pack of bracelet fastening tools to make putting on your own bracelet super fast and easy. 26. A sofa slipcover that'll prevent your furniture from getting covered in a mess of pet dander, so next time you see your flufferino jump onto the couch, you don't need to have a million and one heart palpitations. Get it from Amazon for $28.99 (originally $39.99). 27. 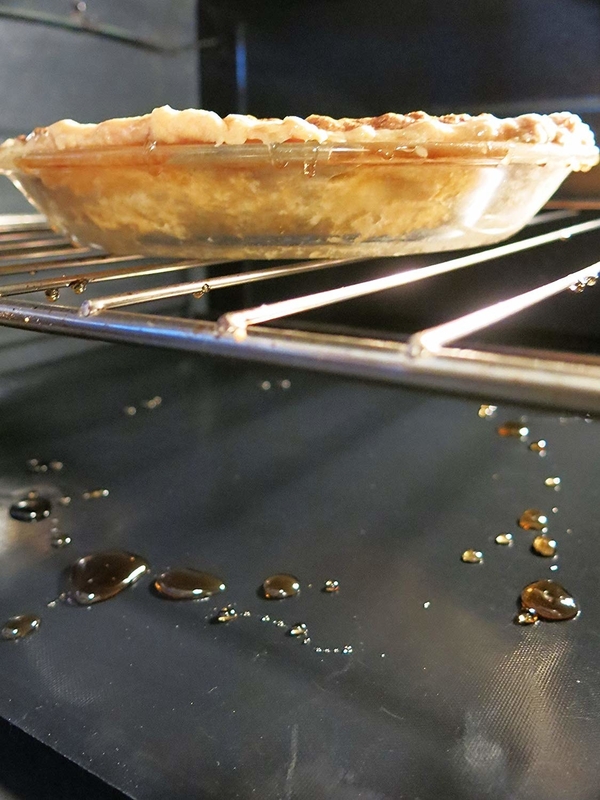 A splatter pan for those who enjoy cooking up a storm, but dread the inevitable and highly dangerous grease/oil splatters. IT HURTS. Should fit most pots and pans. 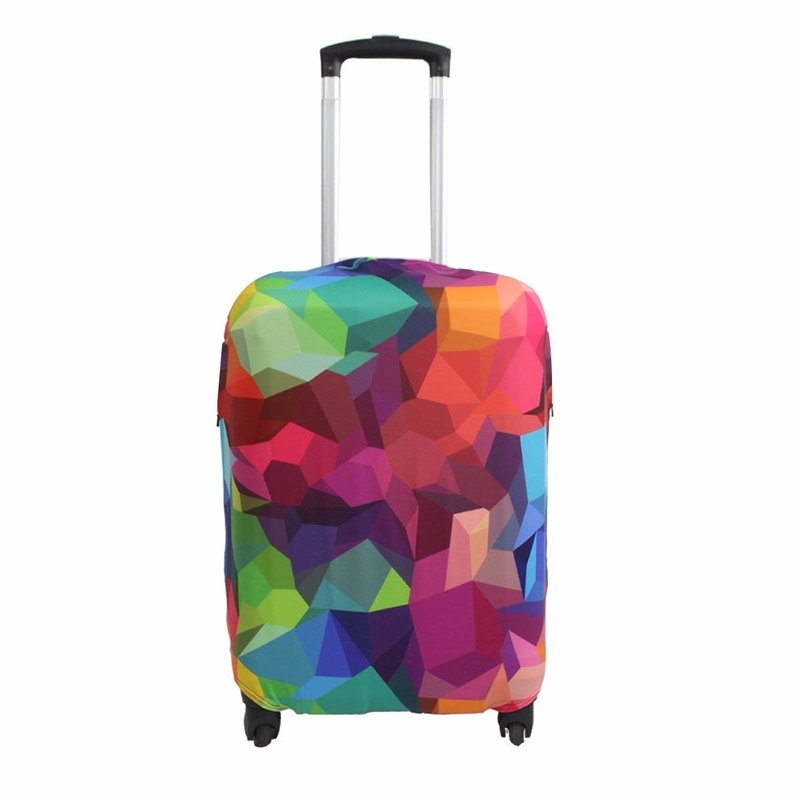 It's made of 304-grade stainless steel and extra-fine mesh to prevent 99% of splashes. Comes with a lifetime warranty. Get it from Amazon for $14.90+ (available in three sizes). 28. A stainless steel polishing spray with a microfiber cloth that'll make your stainless steel appliances look as if they were just delivered to your house just with a simple spray and wipe. Comes with a microfiber cloth! This is good for use on stainless refrigerators, stoves, sinks, dishwashers, microwaves, grills, and other appliances! Get them from Amazon for $14.97 (originally $19.99). 29. A hair styling storage holder that'll provide a neat and safe spot for your styling tool so you don't accidentally burn yourself from leaving it on the counter. Get it from Amazon for $13.06+ (available in four colors). 30. A gate to keep your little ones and pets in a designated area of your home where they can't cause damage or get hurt. Get it from Amazon for $33.99 (originally $38.99). 31. A 20-piece chair sock set to put on the feet of chairs and tables so when you move them around, they don't end up leaving unwanted scratches on your floors. Get them from Amazon for $13.89.